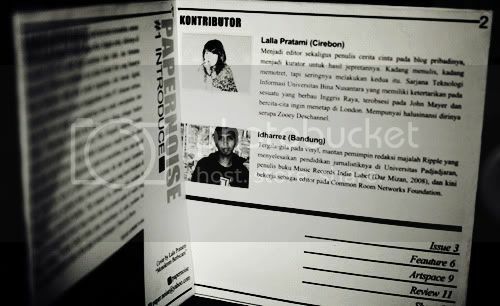 PAPERNOISE is a free local zine made by my two friends, Dzaki and Kibot. 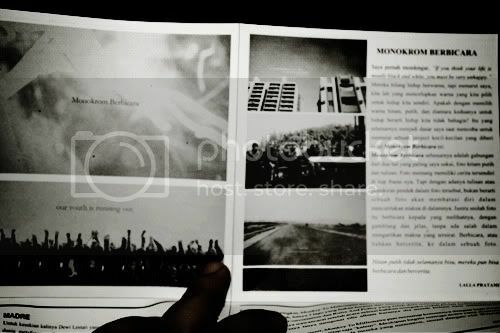 In their very first edition, they featured my photoset titled "Monokrom Berbicara" as Artwork, with a little prologue by me. 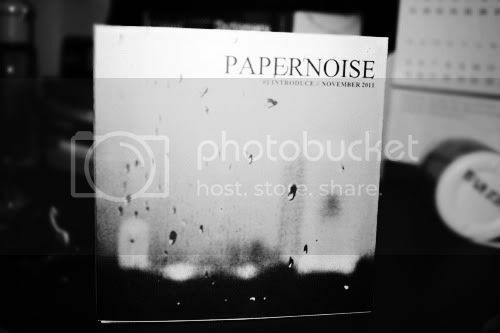 Online version of PAPERNOISE can be read here. aku mau dong lak, masih ada ngga? sik asik! kalo kita ketemu, dibawain yaaaaw.